Breast Cancer Awarenes "Friends in the Fight"
We are taking nominations to to recognize those that are fighting breast canser or are a survivor. Tell us their story and we wil pick on to make their day special with their choice of flowers, gift basket or gift cards. We want them to know we are supporting them in their fight. We know that the holidays are difficult when you have lost a loved one. 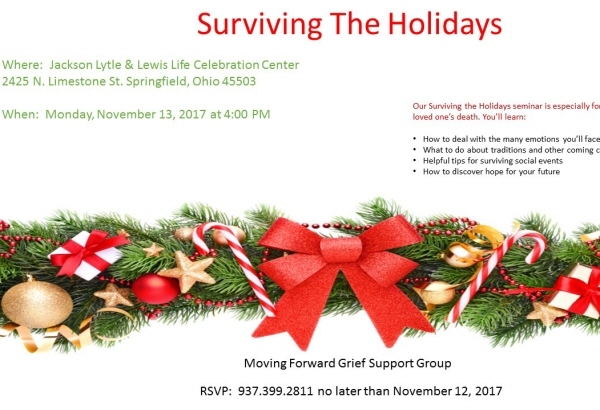 Join us for a Grief Share program that will provide you with healthy tips and ideas on how to best handle the holidays, your feelings and grief. 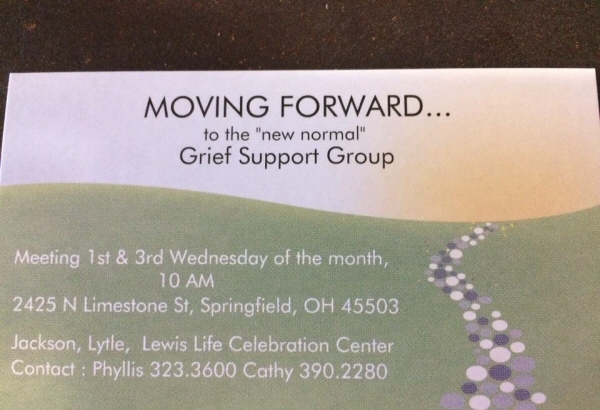 The Moving Forward Grief Support Group will be hosting a Surviving the Holidays program. The program will be at Jackson, Lytle & Lewis Life Celebration Center in the banquet room at 4:00pm on Monday Novemeber 13th. Light food and refreshments will be served. Flyer is attached with more details. This program is open to everyone. Please share with if you know someone that would benefit from this program. We are hosting a FREE Elder Care Law seminar and providing a FREE lunch. 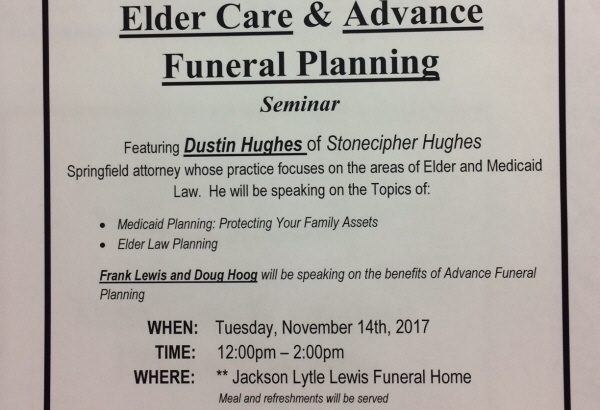 Dustin Hughes a local Elder LAw Attorney will be the lead speaker and will cover Medicaid Planning: Protecting Your Assets and Elder Law Planning. RSVP required to 399-2811 for an accurate count for lunch. 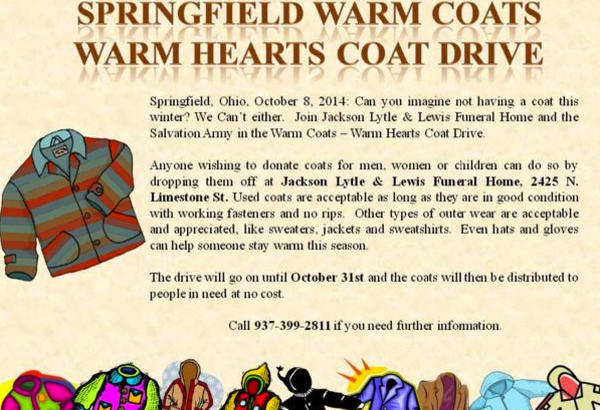 Please join us in the 7th annual Warm Coats Warm Hearts Coat Drive and help make this winter warmer for those in need. We have moved the dates up this year at the request of the Salvation Army to get the coats in the hands of those in need sooner. 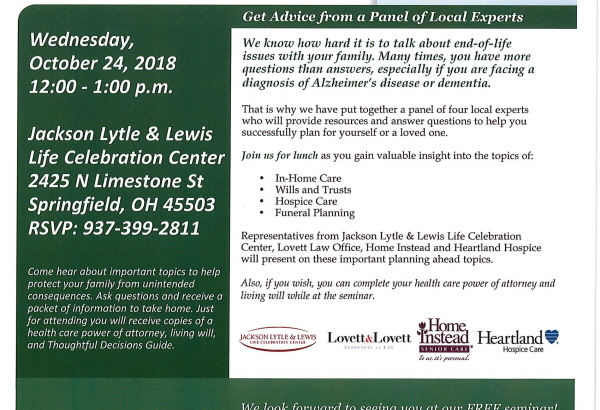 Join us October 24th at noon for a free lunch and learn about advanced planning options. You will also receive a free living will and free heath care power of attorney. Hope you can attend the FREE educational program and get 2 of the documents you need checked off your list for free. 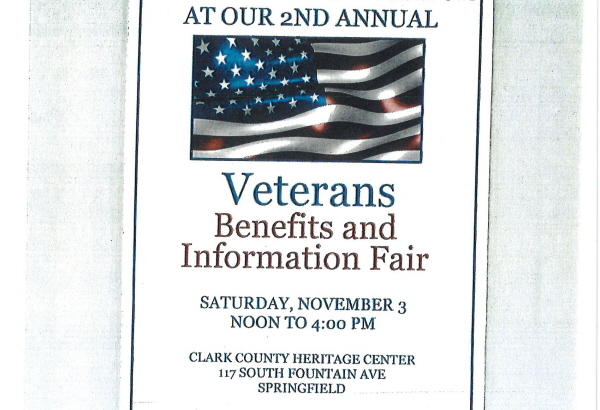 You are invited to attend the 2nd Annual Veterans Benefits and Information Fair. There will be several vendors there with information that will be valuable to veterans to make informed decisions about the benefits that are available to them. 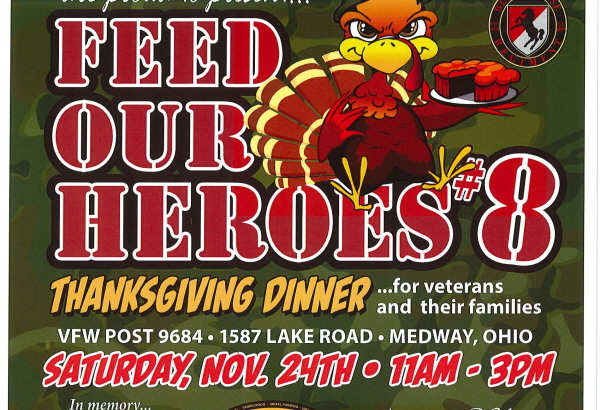 Blackhorse Regiment Veterans & Jackson, Lytle & Lewis Life Celebration Center are proud to present FEED OUR HEROES #8 Thanksgiving dinner for veterans and their families. Reserved seating and RSVP to Hollywood @ 937-653-2638 for your free ticket. 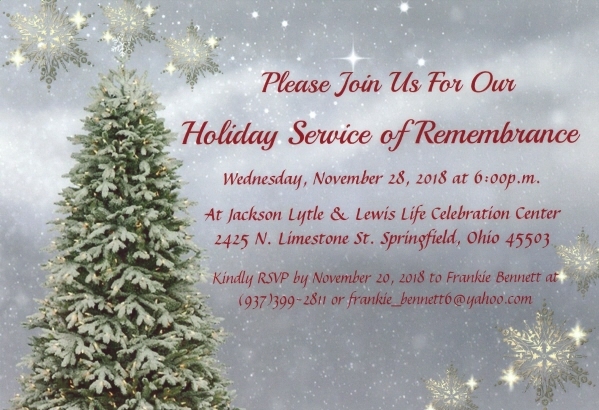 Join us for our Holiday Remembrance Program to honor and remember those we have loved and lost. Please provide us with the name of your loved one for a complimentary angel ornament. One per family. Additonal are available for purchase. If you provide us with a photo we will include your loved one in our Life Tribute Memorial DVD. RSVP required by November 20th. You can call us at 937-399-2811. There will also be light snacks and drinks provided. 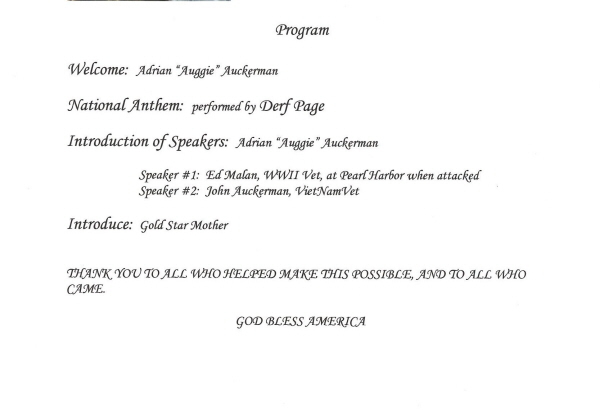 Encouraging words from local pastors and the angel presentation. You are not required to be a Jackson, Lytle & Lewis customer to participate. 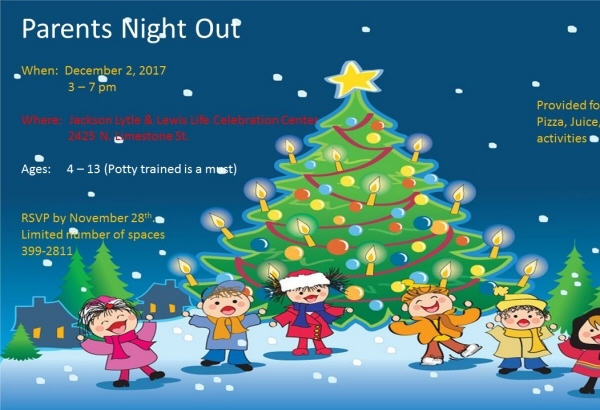 This event is open to the entire community. 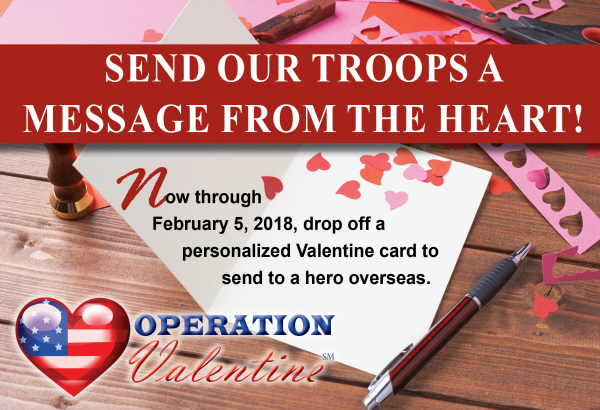 The message is a simple one, “Thank you so much for what you do, we always need you.” This is just one of the many sweet messages from the heart of a child to a soldier or veteran in a project called OPERATION VALENTINE. Cards cannot include glitter, food or candy, but there are still many ways to personalize a handmade card. Write a message on them and say “Thank You,” tell them about yourself and wish them a Happy Valentine Day! Our troops are away from their loved ones and friends so they really want to know that people back home appreciate them. “Care packages are great, but this is a real morale boost”, said Frank Lewis. We have a new support group meeting in the banquet room twice a month. Low key, warm and friendly group. Open to the entire community. We meet the first and third Wednesday of the month at 10:00 am. We provide cake and ice cream on the 3rd Wednesday of the month to residents of Forest Glen Health Campus. 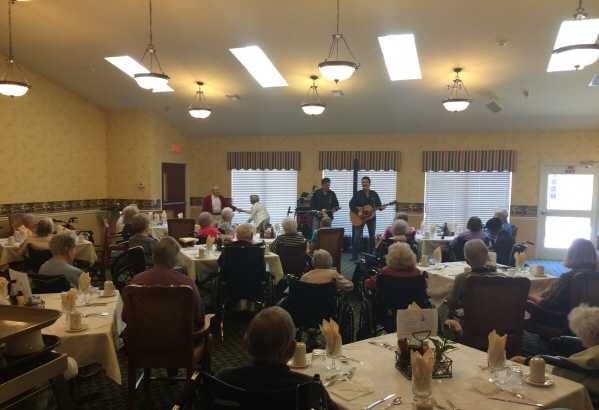 Join us at 2:30pm for the party and musical entertainment for an hour. Monday April 29th we are hosting our first and the first in Clark County Pet Grief Support Group. This will be led by a certified pet grief loss professional and open to the public. RSVP is preferred but not required. Hope you are able to take advantage of this resource if you are grieving the loss of a pet. 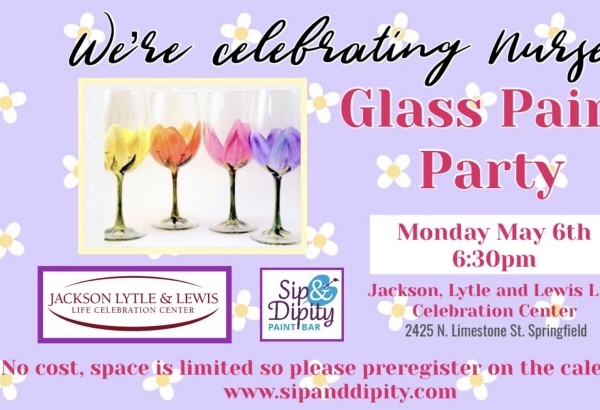 We’re excited to partner with our friends over at Jackson, Lytle and Lewis to honor the wonderful Nurses in our community with a complimentary paint party, beverages and snacks, plus some great acoustics with Jacob Hitt and Harmony Brown!!! It’s sure to be a great evening out with your coworkers and space is limited so please preregister on our website calendar. Please only book seats you know for sure that will be filled, so that we can celebrate as many in the nursing field as possible. Join over 40 local businesses, network and grow your business. This group has passed over $1.2 million in referrals in the last 12 months. Meeting of local senior providers to share information and network on how to better serve our seniors. Doante a new or gently used children's book to be distributed in the Camp Boost Summer Reading Camp. 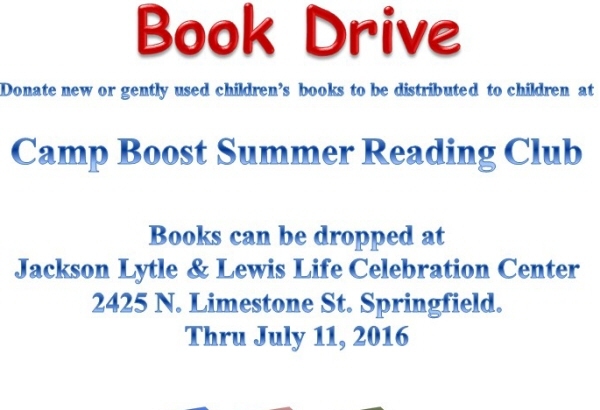 Books can be dropped off at Jackson, Lytle & Lewis Life Celebration Center between 9:00am and 5:00pm Monday thru Friday until Monday July 11th. All books will be distributed to children in need during Camp Boost. From June 6th (D-Day) to June 14th (Flag Day); Jackson, Lytle and Lewis Life Celebration Center will turn their front lawn into a sea of red, white and blue with approximately 400 3ft x 5ft American flags. Each reperesenting a thank you to our veterans for their contribution and sacrifice for our country. All proceeds from this event will go to support local veteran organizations. Sponosrships start at $250. Come join us in paying tribute to our veterans. Join us for Lunch with a Veteran and say thank you to them for their service. The free lunch is Thursday June 6th at 12:00 noon. Cooking For One meets monthly. We have a cooking demonstration by Chef Gary of the Courtyard By Marriott. This is followed by lunch and a speaker on a topic of interest to our group. The program is sponsored by Jackson, Lytle & Lewis Life Celebration Center to provide a safe environment for survivors to go and assistance in the transition to being by yourself. For more information call 399-2811.